In today’s Addon Corner, I’ll take a look at UI Improvements. Now, technically every addon is a UI improvement, but the addons I am going to look at today all share some characteristics: they’re small, and they add some much-needed functionality that I would have liked to see as part of the default UI. With all of them I felt that installing them made the UI make a lot more sense. The default quest log is tricky to read because it separates quests into World Story, Regional Story, etc. If you are really looking through your quest log and try to make some sense of it, I find it not very useful. BetterQuestLog comes in here by replacing the log with quests sorted by zone and then displayed in a minimalistic one-line style. Quests are colored and sorted by difficulty automatically. If someone else in your group uses BQL, the log will show if you share quests or not. A sample of what the changed quest log looks like. A lot cleaner. 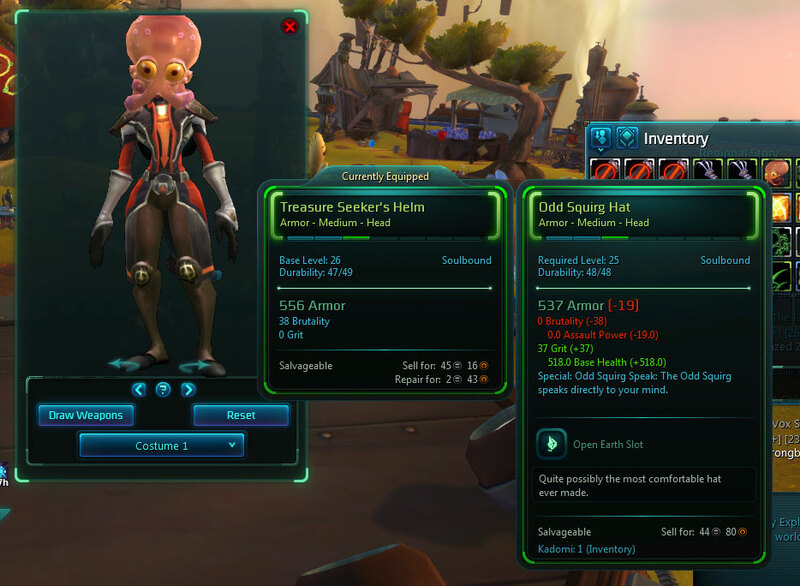 The default Field of View for Wildstar is set to 50. However, that’s not ideal for most people and can be fatiguing on the eyes. 60-75 is a better value. This addon offers you an easy way to change the FoV to your own needs, whatever works best for you. I am currently running with 60, and it’s such a subtle difference. I highly recommend giving this one a try. I bet a lot of WoW players have tried control-clicking items in-game and were disappointed that there’s no item preview. In comes this addon. Once installed, you can Ctrl-Right click on items and preview them on your character. This works on stuff you see in the AH, in chat, in your quest log, etc. If you want to check out which pieces might make the optimal addition to your costume collection, you should have this installed. Best hat? Best hat! ItemPreviewImproved in action. My main is an Explorer, and one of the missions in every zone is to stake a claim. I like to do those when I am in the area anyway. Mission Distance helps with this greatly, because it will indicate the distance for your missions right in the datachron. No more frantic clicking of the mission to find out how far away you are, you have it at a glance. Mission Distance and Super Minimalistic Datachron both in action. I am in a fairly large guild, at least compared to what I am used to, and we regularly have more than 30 people online. This means that to see who’s online I need to open the guild roster and sort it to get an idea who’s on. Not so with this addon. It defaults to only showing you the people who are online, filtering out everyone else. If you want to see who’s offline, you can check a checkbox. 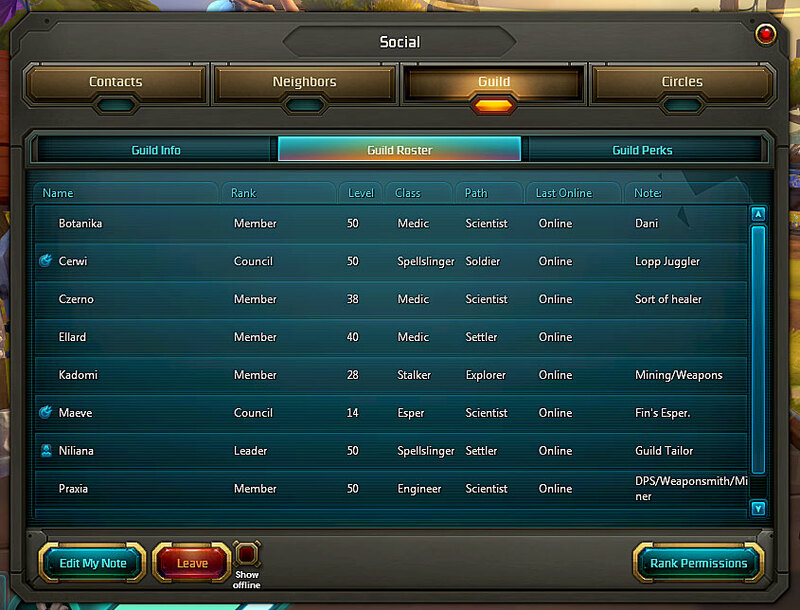 That’s all that I want from a guild roster, for now. Only see online folks, tick the check box to see offline people. That easy. I like to use the Commodity Exchange to dump trade goods. I think it’s an excellent idea. Unfortunately, it’s also tedious because you have to check the tooltip of the item to see if it actually sells above vendor price, especially considering the hefty cut the CX takes as fee. Here’s where NoSwiping comes in. It color-codes sell orders. If it’s red, you are better off vendoring or using the trade goods yourself. If it’s green, you can actually profit. And that’s all it does. It supposedly also works for Buy Orders, but I haven’t tried that. Based on this, I was finally able to put up all my cloth, because cloth prices were pitiful before. For me personally, the single most aggravating UI item is the crappy default achievement UI. How nice I get so many achievements. How sucky that the UI does not actually let me know what I actually achieved. That you cannot actually click on an achievement to open it is terrible design. Here’s where Primula saves the day. Primula adds a short description of the achievement to the summary view, and when you click on an achievement, it actually opens, hooray! It tells me what I actually managed to do, how awesome is that? 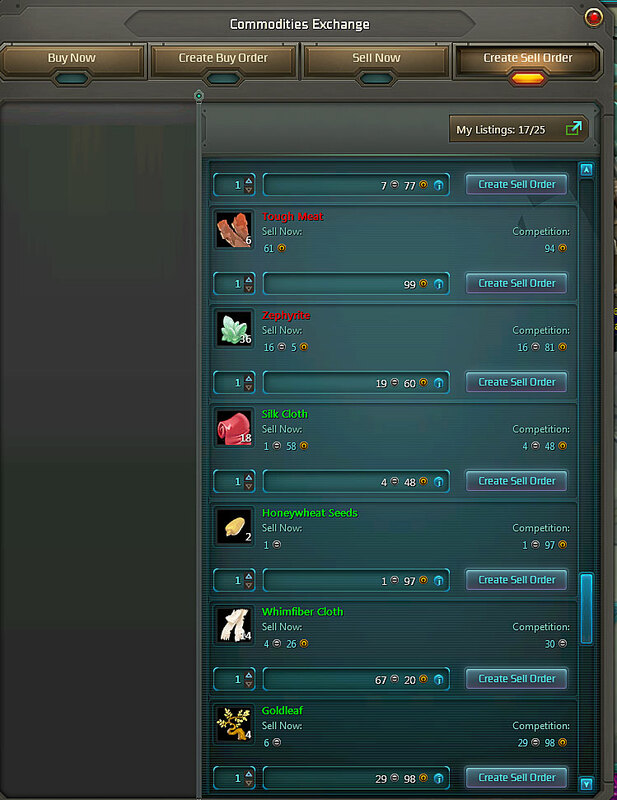 I am a big friend of minimalistic UIs, and Wildstar has so much noise that I like to keep things clean where I can. SMD removes all the clunky frills of the datachron and just leaves a clean box of missions. It also allows you to move the cleaned-up datachron to somewhere else. 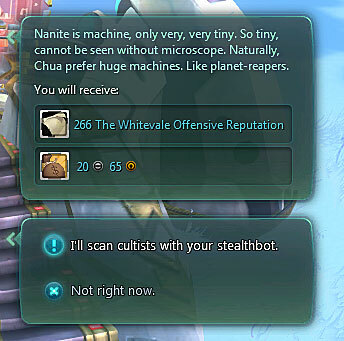 I am still no fan of the chat bubbles in Wildstar. Their transparency clashes with nameplates, and if there are other NPCs nearby, I find it hard to read the bubbles. Unfortunately, many quest givers use the chat bubbles. Here’s where UnitedDialogs comes in. It links the NPC chat bubble to your own, making it a lot easier to read the quest dialog. Furthermore, it’s a lot more compact in the display of quest rewards. If you are a keyboard wizard, the keys 1-9 can be used to respond to the dialog. You can also adjust the font size, and all sorts of neat things. I am a big fan. A typical dialogue if you are using UnitedDialogs. All nicely linked together. And that’s it for now. A big thanks to @jnsplace who discovered some of these addons and shared on Twitter. As always, if you have any recommendations to share, please do so. Yeah, I had been waiting for something like that as well. Hooray for addon authors! I have most of these but I’m downloading every single one I don’t have. I’m especially excited for Primula and UnitedDialog. Hey thanks for this! 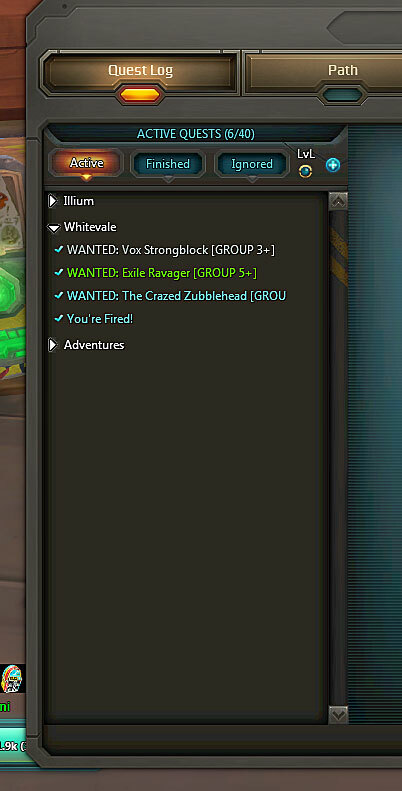 Primula and NoOfflineRoster will greatly improve my WildStar life. Okay well I’ve now downloaded every single one of these. My plans to only use a few addons have been ruined. RUINED. THANK YOU! These will greatly improve many aspects of the default UI that have been irritating the heck out of me. Thank you. I have been looking for some addons as I only have 2 installed. I will test some of these tomorrow 🙂 awesome post.